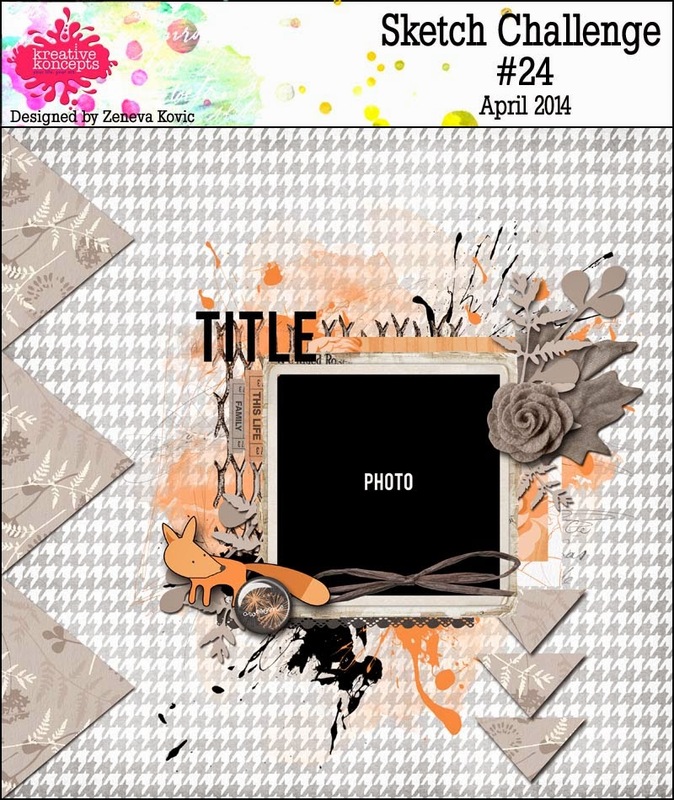 Above is my entry for the this month Kreative Koncepts Sketch challenge (below). It took awhile to get started and I ran out of suitable flowers quickly but here is the finished product! I used to do Spanish dance when I was younger, and my mother made me the outfit - which I loved. This is the only photo I have from my dancing days so I figured it would be a good one to get scrapped. A gorgeous layout. Great layers and love your dancing costume. I just love Spanish dancing! Fabulous take on the sketch. Thank you for joining us at Kreative Koncepts. 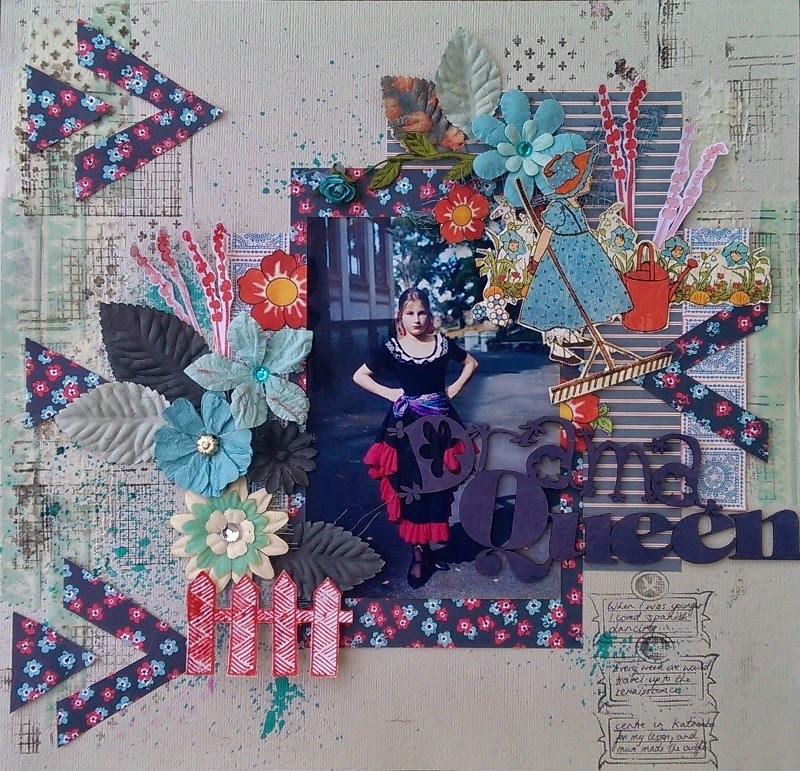 What a great scene you created for your layout using all those wonderful elements and patterns. I love the title and the colors you pulled from the photo! So much loveliness to admire! Thanks for playing along with us at Kreative Koncepts!